News: Some news from the Lab. Soil testing has been largely undervalued on Australian farms and in Australian gardens. The two main problems are 1; the challenge of understanding how soil testing should be planned and how results should be interpreted for a particular farm or garden and 2; complexity of testing methods. Now there are several kits available that just 'ordinary folks' can use. These commonly test for the main nutrients N, P & K and usually pH. 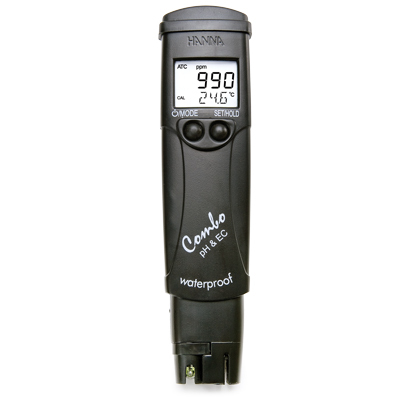 The two most popular kits are the Hanna Instruments HI3896 NPK, pH 25 test kit and the Lamotte EL Garden kit. See both kits in the online catalogue under Chemical test kits / Application specific kits. On the first point we have developed some helpful notes that can be used to understand how soils work and what test results mean. Please see Soil test interpretations. Farmers, don't be left confused about soil testing. We can suggest suitable testing options and can organise sampling if required. We now outsource most testing so we can concentrate on explaining and interpreting your results. Our aim is to make sure you get value from your test results. 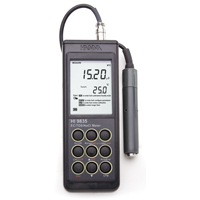 See the range of soil tests and agricultural services at Soil testing. Baseline figures taken along with some understanding of soil processes can help show how fertility can be improved or in many cases how the 'natural capital' of the soil can be unlocked. See some of our project work at Dairy farm pasture investigation. Don't wait till your tank water turns green with a less than desirable smell! The starting point for water testing is the Apps Laboratories Basic water quality test. This test is recommended for drinking water, food and beverage processing and process water. It tests around 9 factors critical for understanding management and treatment needs. Add the Bacteria water quality test for a complete profile of water quality. 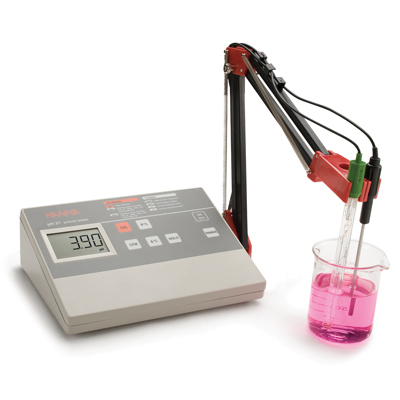 These tests are suitable for tanks, springs, dams, creeks and even reticulated supplies. See details for these tests under "Water testing" on the menu. Instructions for sampling can be seen on the "How to order" link. Sanitation and disinfection test strips help ensure product safety and reduced contamination potential. Popular Clean-In-Place CIP sanitizers such as peracetic acid PAA can be tested at high and low ranges. Test strips that measure both free and total chlorine are essential if water contains any nitrogen compounds. They will show if the amount of effective or free chlorine is adequate and will also show if any added chlorine is being converted to a less effective form. More news from the Lab - How to get a water test, Easy bacteria tests in the classroom. 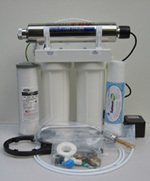 Water filters . There are simple solutions that will improve water quality in a variety of town and rural situations. For drinking water systems start here. Soil tests you can do: Easy to use kits and test strips put you back in control of your soil fertility. Read more. For ultimate convenience the Lamotte electronic soil testing lab tests for 15 major factors including major and minor nutrients. See it at Lamotte electronic soil lab. Tech talk: Salinity. What those measurements mean. 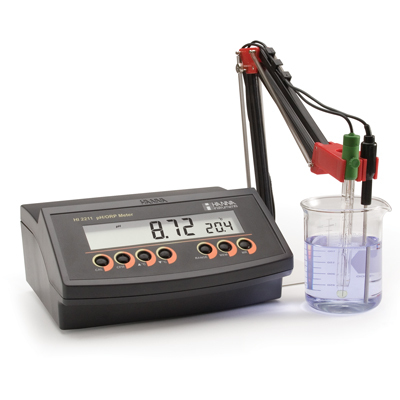 Salinity is a good overall measurement of the quality of your water. But not all salts are equal. Read more. Measurements - which way?. 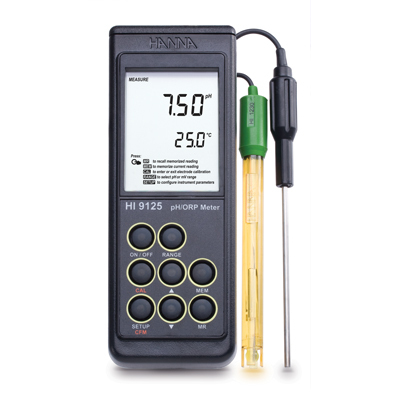 With the large variety of test kits and meters available from the major suppliers it's hard to know which way to turn if you want to do some of your own testing. We're trying to clear the water so to speak by offering an overview of some of the key methods starting from the more commonly tested parameters. See Mini guides. For industry specific guides go to Newsletter then select the newsletter specific to your industry or interests. This site was last updated on: 31 Oct 2017. Water treatment - what are the options? Check out our Easy guide. Tired of putting up with poor quality water on the farm? See our guide Rural and farm drinking water systems. 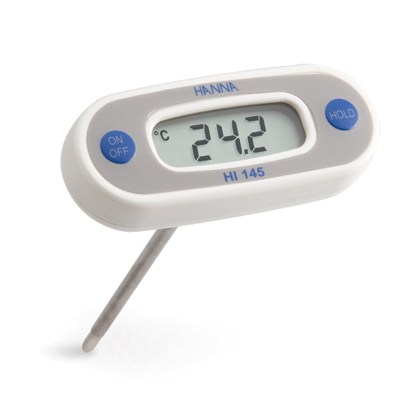 HACCP - do you know your temperatures for food handling? Quick guide. What's sharing your water? OK not all bacteria are bad, some almost friendly. But sometimes those little unpleasant ones muscle in on your water supply. What can you do about it? You can't frighten me. 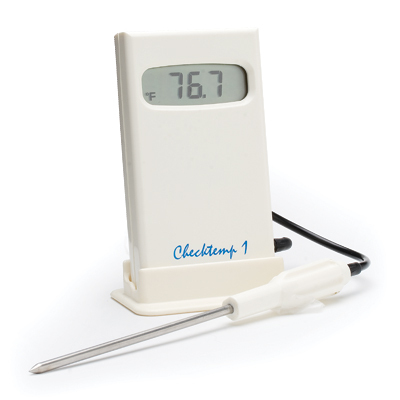 New products: We're always searching out those nifty products that make your life easier. Here's the latest: Macherey Nagel Medi-Test Combi urine test strips. These measure 10 key diagnostic factors in urine. See them at Medi-Test multi-factor urine test strips. Soil test kits. We've introduced a new range of Lamotte test kits for agricultural soils, greenhouse soils, plant tissue testing and hydroponics. See them at Agricultural test kits. Rapid pH testing with pH test strips pH test strips. Dr Tim Apps taking a water sample from the Delatite River near Mansfield, Victoria. Bio. Ordering. How to order from us. I'll help you make an informed choice about products or testing options. Or fire off that question that's been nagging you .. anything related to water or testing. Help! 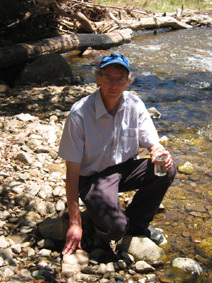 Dr Tim's blog on water, testing, 'how to', products, 'how I do it'. Read / post a comment. FeedBack. Did you find what you were looking for on this website? If not let us know. We're also interested in your comments or questions. Go. Latest resources: Rapid water testing with test strips. Water test strips. Rapid testing and screening with test strips. Test strips. 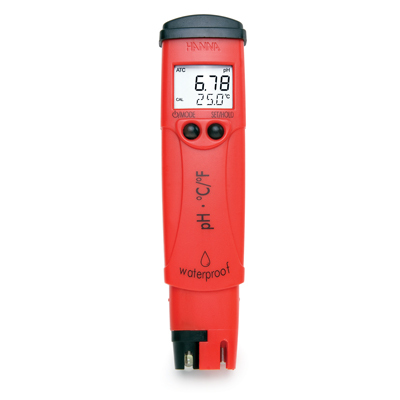 The two most important factors in water testing. Test these first.